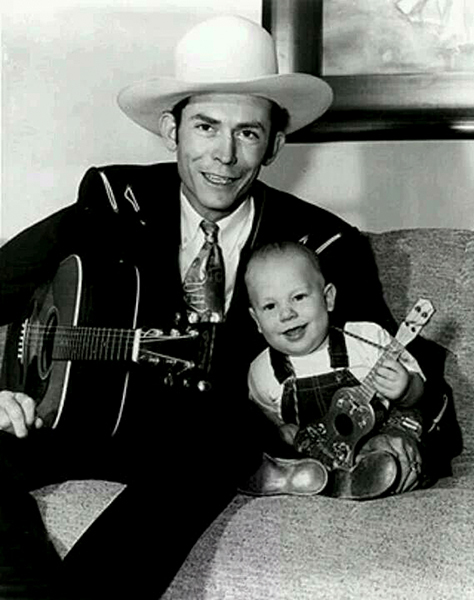 Home » Hank Williams Sr. and Jr.
Hank Williams Sr. and Hank Williams Jr., c. 1950. Hank Williams Jr. was born to Hank and Audrey Williams on May 26, 1949, in Shreveport, Louisiana. At eight years of age Hank Jr. was touring, playing his father's songs, and at age 11 he made his first appearance at the Grand Ole Oprey.